My two youngest have started their shopping, so they wanted to get their gifts wrapped and put under the tree. Each one of my kids have made my mom an ornament out of Legos over the years, there is a candy cane as well that I didn’t get in the picture. 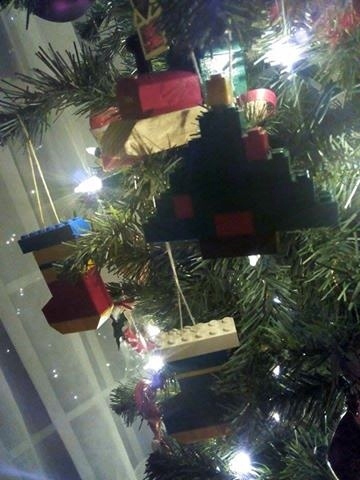 LOVE the lego ornaments! So clever!! 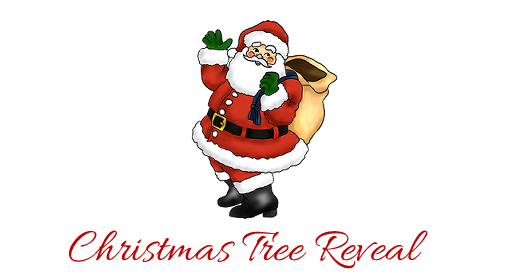 Your tree looks so lovely! My Gran and Grandad had those type of candles too, but no-one seems to know where they are 😦 LOVE the idea of LEGO baubles (I assume you glue them together so they don’t pull apart? )….I’m definitely going to put my son to work making a few tomorrow!!! What a **brilliant** idea! 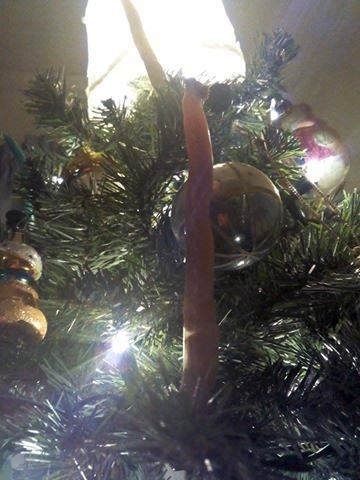 My grandma’s family used the candles too – just scares me. 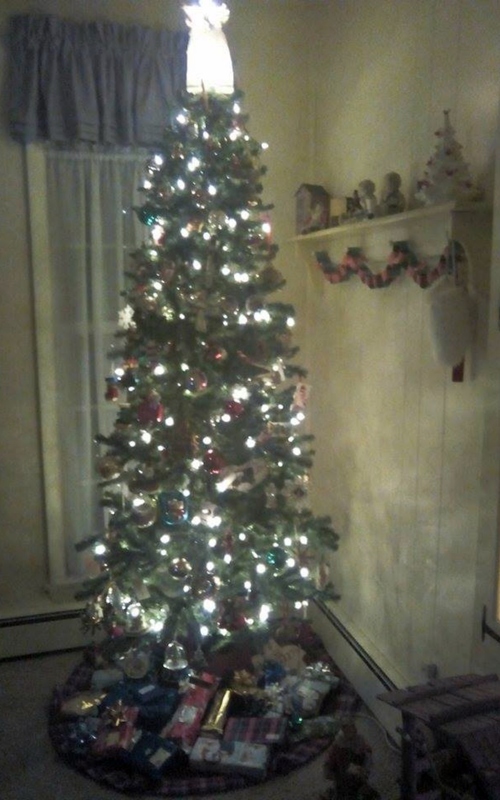 Love how pretty your tree is.